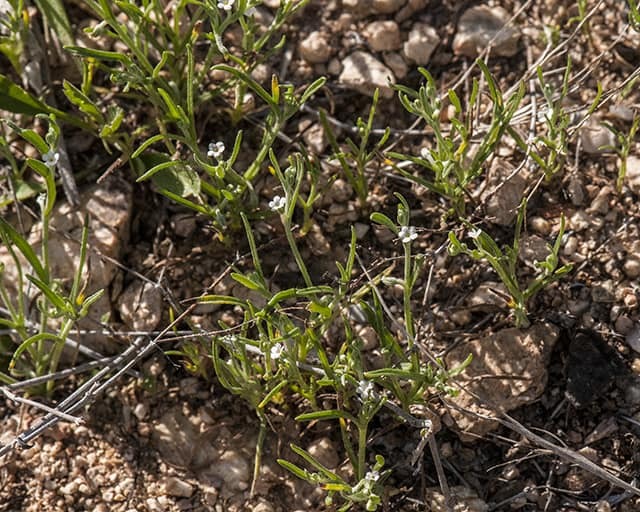 It’s about 4-8 inches tall, tiny- and I mean TINY white flowers. This month I’m giving a shout to one of our tiniest of spring flowers. It can go unnoticed if you’re not looking for it. But upon finding the Arch-Nutted Comb Bur (Pectocarya recurvata), you will find that it exceeds all expectations of interest and uniqueness. 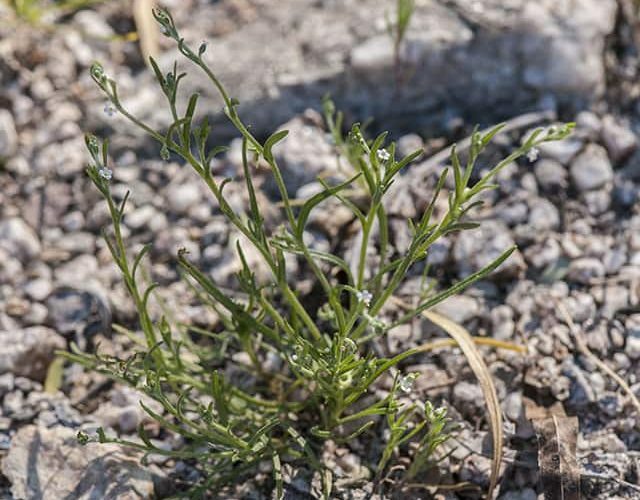 Look for the Arch-Nutted Comb Bur in sandy places near rocks and alongside roads. It’s about 4-8 inches tall, tiny- and I mean TINY white flowers. 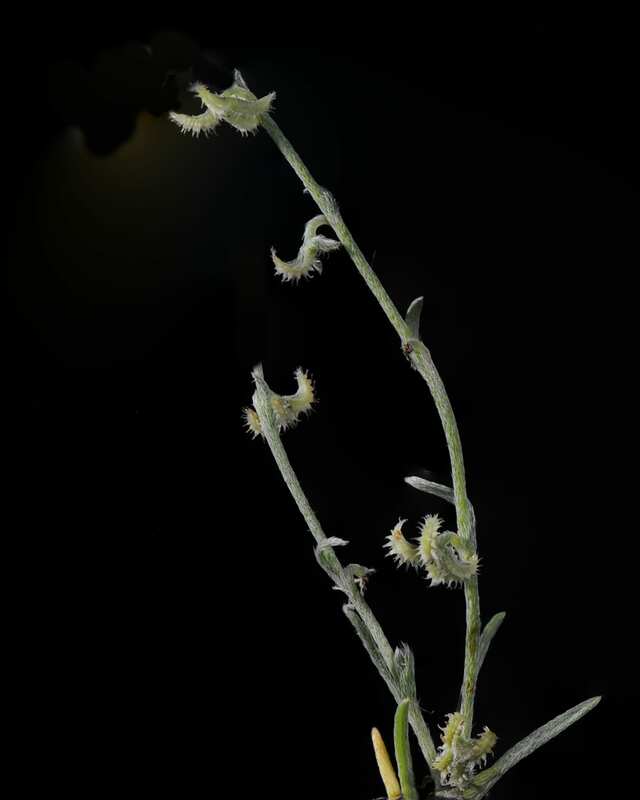 It’s in the Boraginaceae or Borage family so can be identified by 5 united petals, 5 separate sepals, hairy leaves and stems, and 4 ‘nutlets’ (dry seeds). 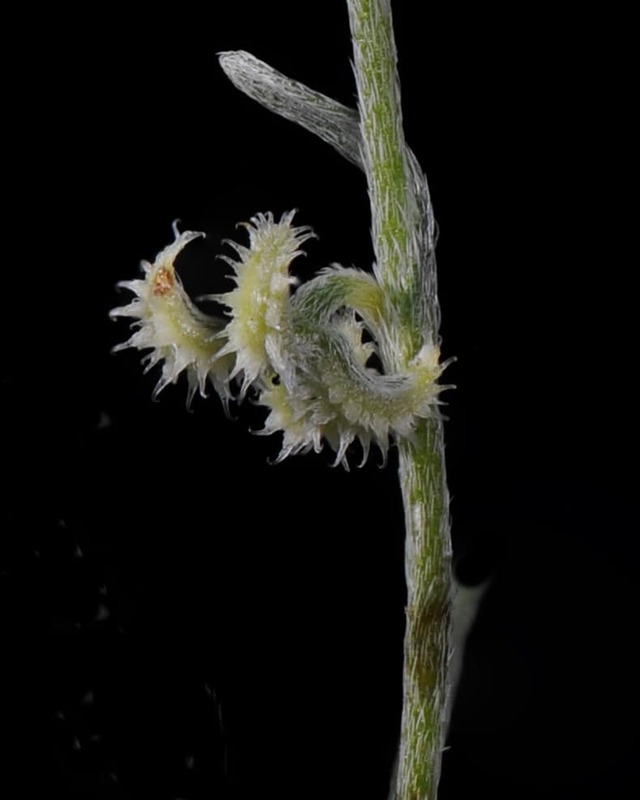 The white flowers on this species are only 0.5 to 2.5 mm wide. In inches that’s about 1/10. The genus name, Pectocarya, is from the Greek pectein (comb) and karyon (nut). The species name, recurvata, means bent back. Therefore, we end up with a name of Bent Back Comb Nut. So those scientific names do mean something after all!! I’ll save elaboration on that topic for another article. 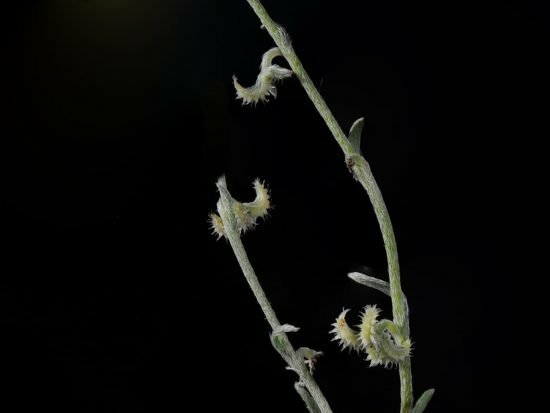 One of the most interesting characteristics of this plant is the shape of the fruit. 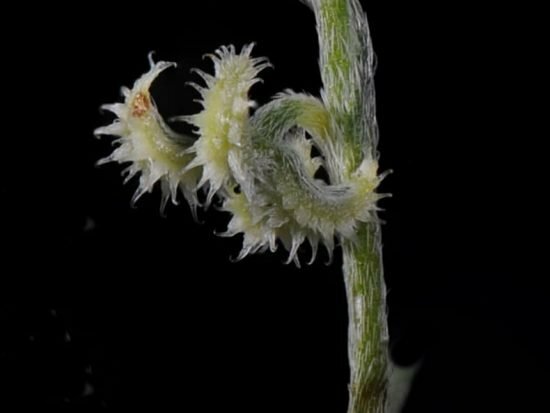 Looking at the pictures you can see why it’s species name is recurvata. The comb like fruits are bent or curved backwards and in the shape of an X. Notice the toothed or comb-like margins on the fruit. 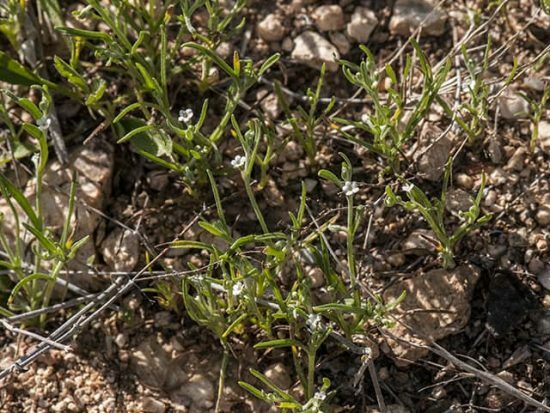 You can find Arch-Nutted Comb Bur in Sabino Canyon in the shelter of rocks, at bases of shrubs, and occasionally on roadsides. Arch-Nutted Comb Bur flowers February-May.